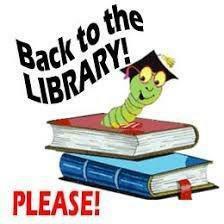 It’s really important that all on-loan books are returned to the School Library before the end of term. Please help your child look at home for any books they may have borrowed. These resources will have either our school stamp inside or an SLS label on their spines. Look in bags, check shelves and anywhere else books may be found. This amnesty will ensure all books are processed and available for loan in the new academic year. Everything must be brought back by Friday 20th July and a prize will be awarded to the class that returns the most!